Raw Vintage Femme: Vegan ranch dressing recipe, with Kinda Bacon. 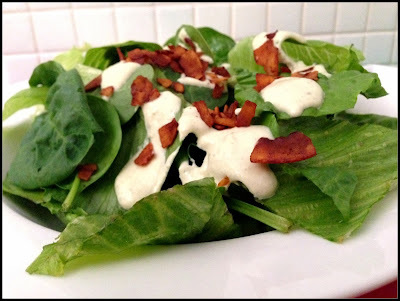 Vegan ranch dressing recipe, with Kinda Bacon. 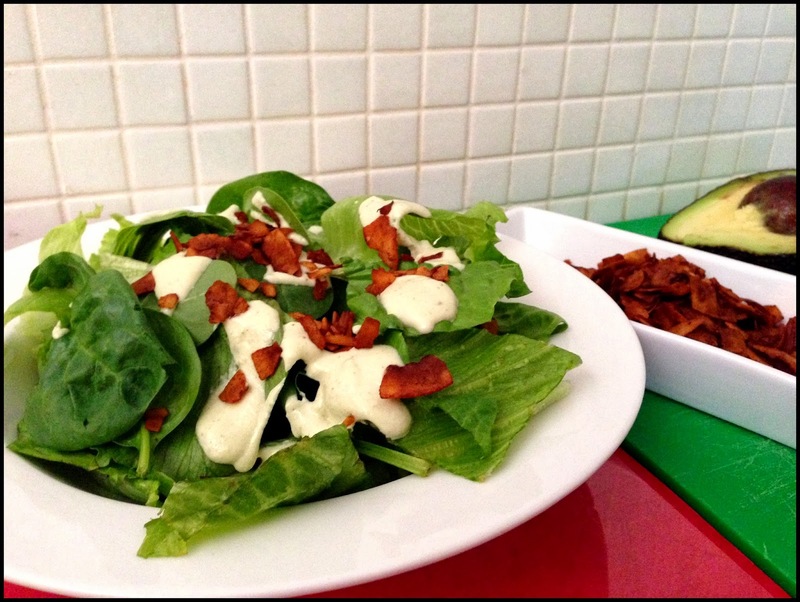 This is the perfect way to nosh into a summer salad, with all your favourite flavours. Optional, Kitz flax Herb & Garlic Cracker, crumbled as croutons. Soak your cashews for at least two hours prior. Then combine all dressing ingredients in a blender/vitamix and blend until smooth and creamy. Tip: Refrigerate dressing after blending,overnight or at least 1 or 2 hours, this allows the dressing to thicken up, so I recommend this step. Makes about 1 ¼ cups dressing. End result super delish.. Pile salad mix onto a plate, drizzle on your dressing, then load on your toppings, Kinda Bacon, Kitz flax Herb & Garlic cracker & nutritional yeast. Yummo!